You have to have enough faith and love for all those you call mine. Only in Jesus can you find the source for such unstoppable and unconditional faith and love. 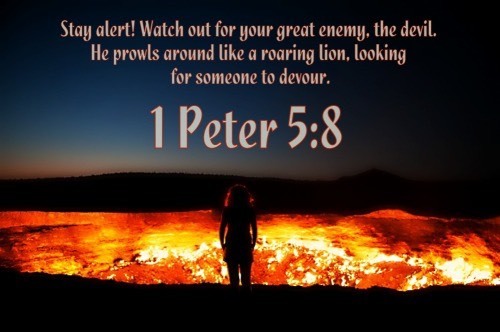 Know this, if you believe in Jesus; you must be aware of the evil one who roams this world under the sun like a lion seeking to separate and devour all that he can. Stand firm against him, and be strong in your faith. Remember that your family of believers all over the world is going through the same kind of suffering you are. This entry was posted on August 29, 2018 at 4:39 pm and is filed under One Walk. You can follow any responses to this entry through the RSS 2.0 feed. You can leave a response, or trackback from your own site.